The third in a series of rulers, this version of our Tucker Trimmer is used for any block or unit that is larger than 6” finished in size. 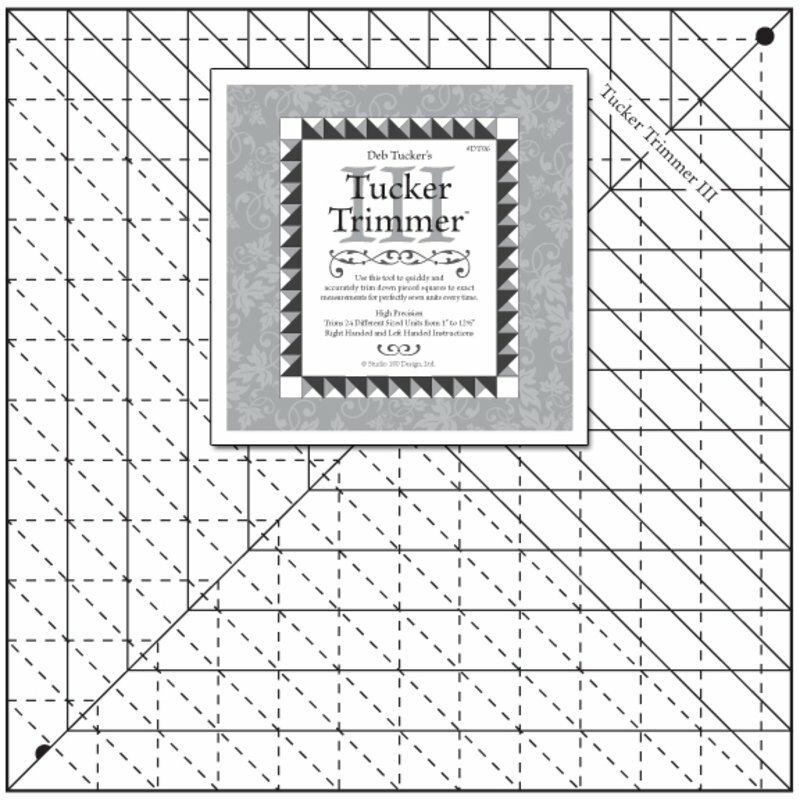 It has all of the sizes of the Tucker Trimmer I plus 13 additional size options up to and including trimming blocks to 13” that will finish to 12 ½” when sewn. Use this tool to trim down the Lemoyne Star blocks made with the Rapid Fire Lemoyne Star tool and any type of block that needs to be trimmed and squared to a specific size. A terrific tool with all the same benefits as the original Tucker Trimmer.